Day by day lots of new smartphones are launched and Huawei Honor 10 is one of them. HONOR mobile recently launched their new Honor 10 mobile phone with Huawei Kirin 970 Processor, 5.84-inch Full HD+ Display, 24MP + 16MP Dual Rear Camera and 24MP Front Camera, 6 GB RAM with 128 GB ROM and 3400 mAh Lithium Polymer Battery. If you already bought this phone or buying the same in next few days. And now looking for the best method to Root Honor 10 phone. The main Motive is to root Honor 10 to install custom ROMs, Xposed modules, and other system tweaks. After rooting the phone you have the full control of the system and make any changes on your phone with some custom tweaks. To Root any phone you need to unlock the bootloader of the phone and flash the custom TWRP recovery to install the rooting file like Magisk or SuperSu. So to get started first you have to unlock the bootloader of the phone and this process will delete all the data and files on your phone. So it is recommended taking the backup of HONOR 10 phone. Below are the working instructions to root the Huawei Honor 10. 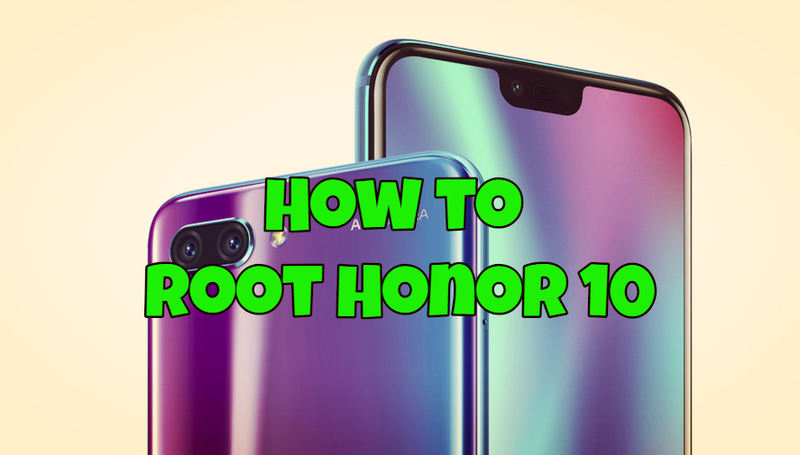 Here we are posting two ways to root the Honor 10 phone. In first, we are not going to install TWRP. All you have to flash the magisk file and you are done. And in the second you have to flash the TWRP custom Recovery and after that to get the root access flash Magisk zip file. The process is a little bit longer but one of the best way to root the phone. 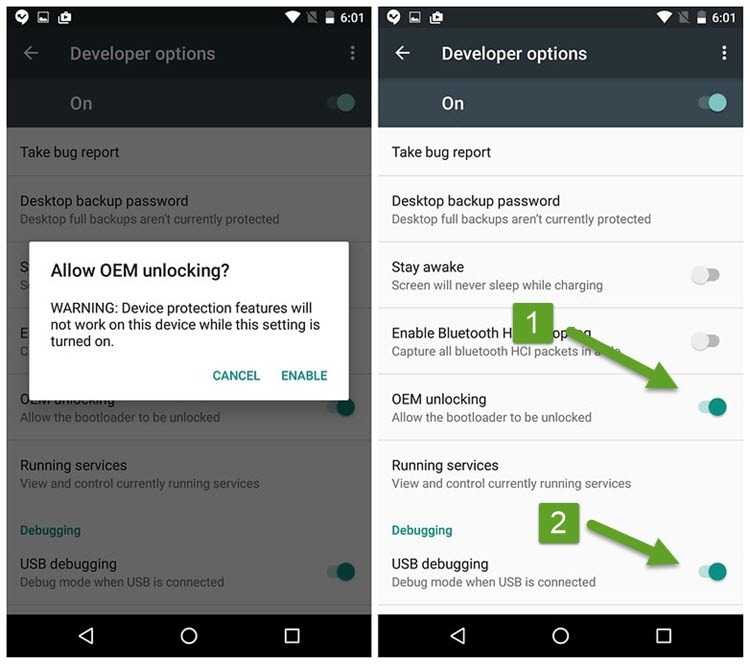 Unlocking bootloader of the phone is not a difficult task all you have to visit the Huawei site and apply for the Unlocking the permission and you can easily unlock your phone. Here is the full guide to Unlock Bootloader of Huawei phones. Note: Make sure you have unlocked the bootloader of your Honor 10 as asked above in the pre-requisite section. 1. Download the Honor 10 magisk patched stock boot image from here: col-magisk-tlxx .img. 2. Now save this file on the ADB folder that you created at the time of installing ADB drivers from above. 3. Open a command prompt window inside the ADB and Fastboot folder: Holding Shift key + Right Click > Select Open Command Window here. 4. Boot your Honor 10 in fastboot mode. To do this first switch off your phone. Press & hold the “Power button + Volume Down” at the same time for about 6 seconds. 5. Now your phone will boot in fastboot mode. 6. Connect it to the PC with USB cable. 8. Once the flashing process is completed, execute the below command to reboot your device. After booting to the system it’s recommended to flash Magisk again with the magisk manager to avoid module installation issues. Open the magisk app (or install from Google Play store it if it is not present) and update the magisk manager as per the onscreen instructions. Now you have the Rooted Honor 10. Note: We always recommend the TWRP method to Root the phone. Because TWRP recovery is always useful to install other zip files like Custom ROM and other Tweaks. 2. Now open the ADB folder that you created at the time of installing ADB drivers from above. Save the twrp_bkl_0.7.img in the folder. 3. Now save the Magisk Manager zip file in the phone’s internal memory. 4. 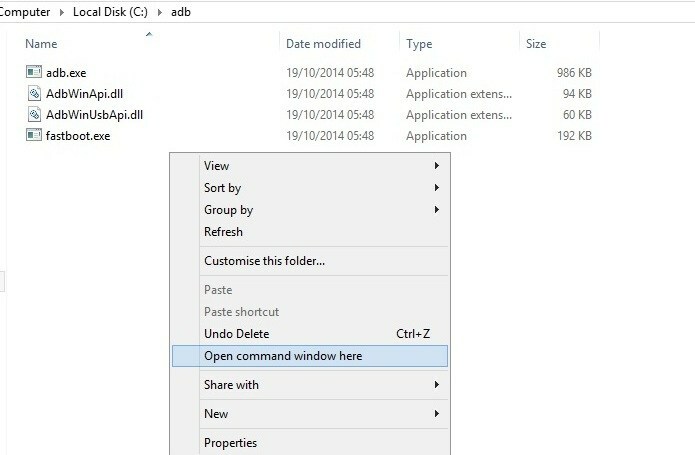 Open a command prompt window inside the ADB and Fastboot folder: Holding Shift key + Right Click > Select Open Command Window here. 5. Boot your Honor 10 in fastboot mode. To do this first switch off your phone. Press & hold the “Power button + Volume Down” at the same time for about 6 seconds. 7. Run the following command to flash TWRP on your phone. 8. Once the file is flashed reboot your phone. 9. Once the phone is booted. Reboot into TWRP recovery. To do this first switch off your phone. Press & hold the “Power button + Volume Up” at the same time for about 6 seconds. 10. 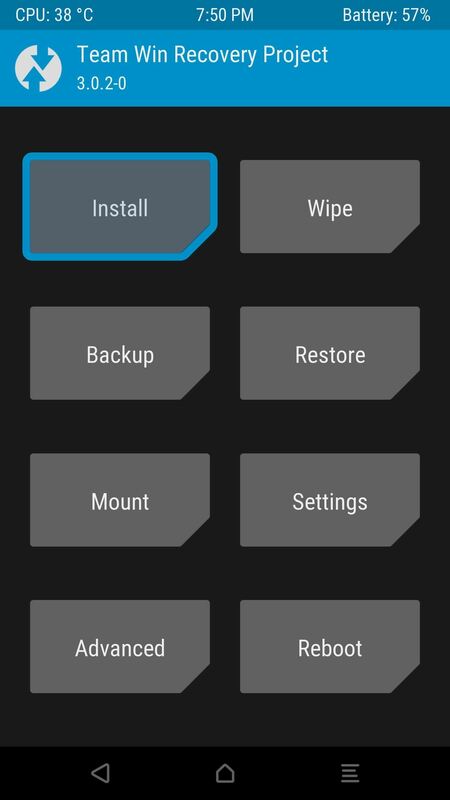 Once you are in TWRP recovery. Tap on the Install Button. 11. 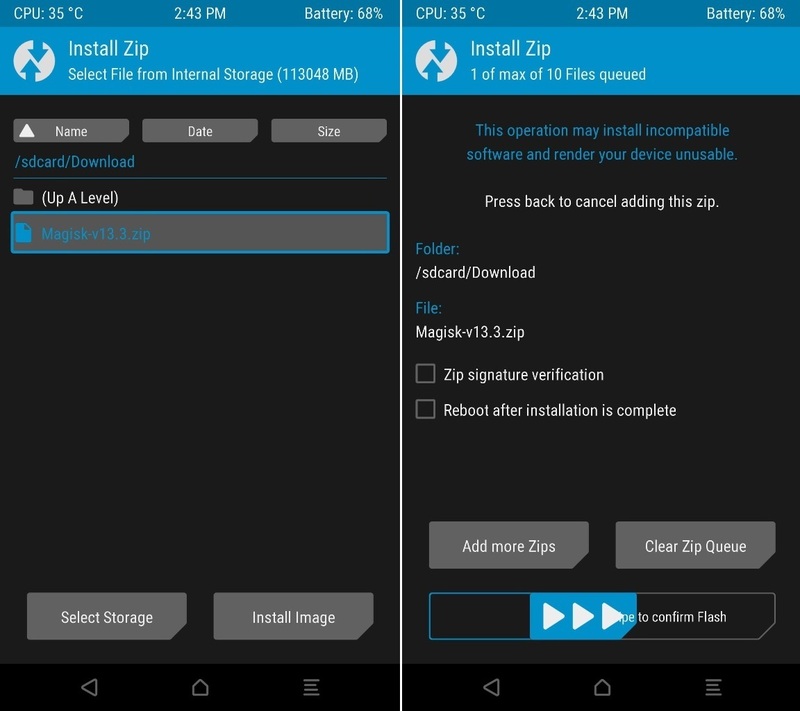 Now Find the Rooting Magisk zip and install it on your smartphone. Swipe the button to confirm the installation process. 12. Once it’s done, tap on Reboot System to restart the device. This is the easiest way to root Honor 10 using Magisk. Now you can install any root apps or even Magisk Modules on your Honor 10. If you are facing some trouble with this guide them leave the comments below and we will help you to fix it up. I rooted successfully with your instructions. Now the first OTA would be ready to install. Download is successful but then it got stuck in TWRP.